All About Love Synopsis: Week 1. | AfroMadu. All About Love Synopsis: Week 1. 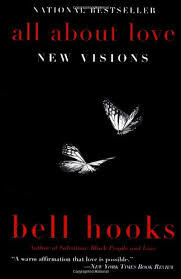 AfroMadu’s book is back this winter and we are sooo excited to dive into bell hooks’ All About Love: New Visions. Our first week discussion was even more phenomenal! I wont go too much into detail about the discussion chapters, 1-4, but highlighting a few things from our twitter meet-up will help us remember what went on, and move forward with the next chapters. For starters, our viewers were so excited to talk about love! Not only did we have detailed feedback, but folks even chimed in with videos on their definitions of love. Thank you for all of our Instagram followers for dropping 15 seconds of knowledge about love! Wow! talk about shaping our love into that definition! Becoming FULLY invested in another spirit. That’s heavy. Throughout the beginning chapters, she continues to refer to this type of love as the model love we should have all when we begin interacting with people. hooks then begins showing our errors when we are not conscious of how we define love personally. She shows this through our adolescent years ( and the idea of beatings and punishments), our significant others, human connections between males and females, and even considering a long lasting and committing love. hooks is handling us with the proper care and appropriate knowledge on love, and this is EXACTLY what we need during a time where movements and revolutions are beginning. Understanding the concept of love and how loving is flawed through these realms is very important. Review our actual discussion tweets and tell us what you think! Has your definition of love changed after reading? Do you feel your love was tainted during your adolescent years? Do you see any correlation between the idea of care and love in men and woman? Let us know! 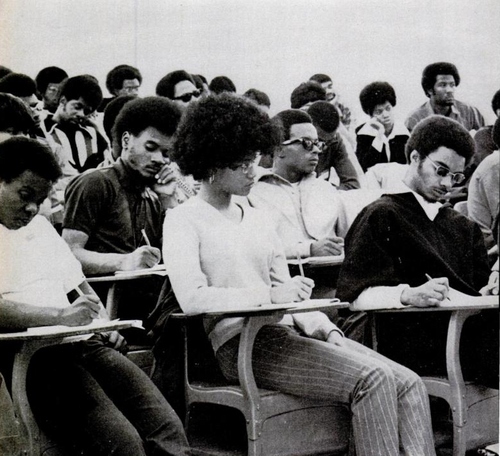 Previous PostSustaining the Black Community with Holistic HealthNext PostBooks for Ferguson!